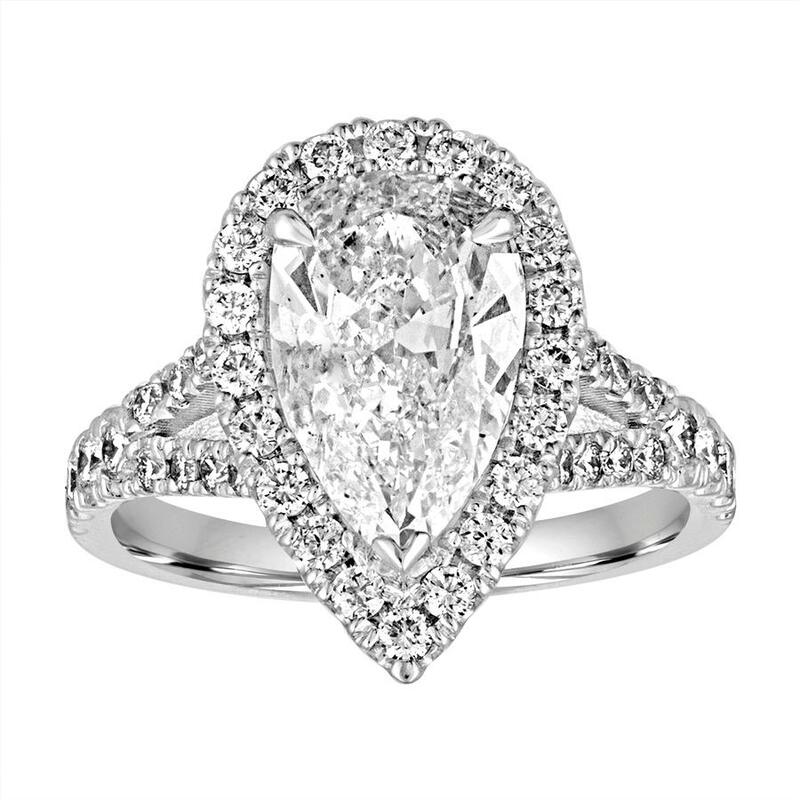 Pear Shape Diamond Split Shank Ring. 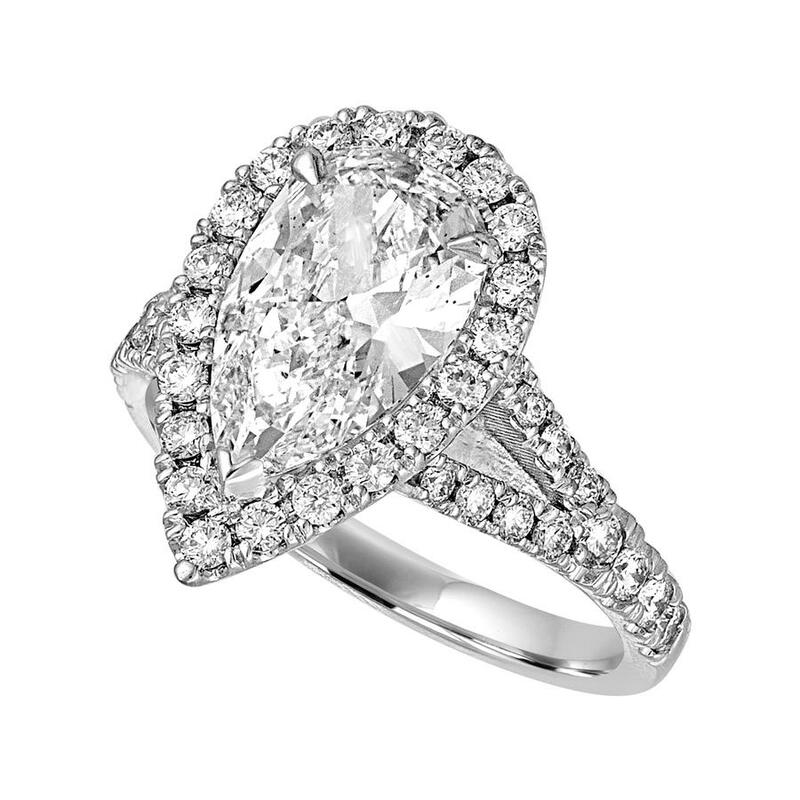 This ring has a 2.48ct Pear Shape Diamond Center and is surrounded by round diamonds. There are diamonds going half way down the shank of the ring.